Wenxiang Road Overpass, the uplift section of the G60 Hukun Highway in Songjiang District, is under construction, expected to be finished by 2020. 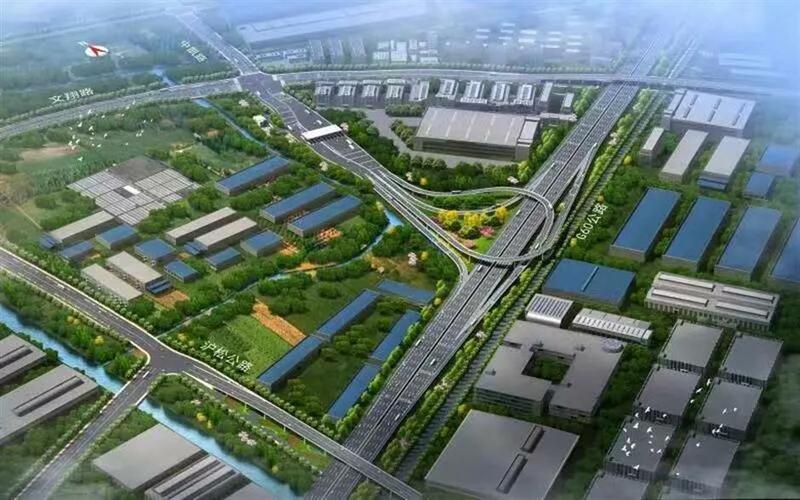 Until then, 11 new toll lanes will be constructed in the east part of Songjiang, serving vehicles flowing into eastern Songjiang New Town and the industrial parks in east Songjiang. The new project will also ease traffic at the Xinqiao Overpass and Jiasong Road S. Overpass and average road network traffic. The overpass, designed in a double-tier T shape, will have two ramps crossing above the G60 Hukun Highway and four ramps connecting the highway tolls. In addition, a ramp toll plaza and 11 toll lanes will be constructed. The four ramps connecting the tolls will be 1,676 meters long in total, among which the bridge will span 1,156 meters. The deck area will cover 11,560 square meters. To renovate the main line of the highway, both Miaotang Bridge and the Zhangsifang Overbridge, 973 meters long, will be widened. Wenxiang Road from Husong Highway to Zhongkai Road, 451 meters long, will be expanded from the original four fast traffic lanes and two slow lanes to six fast lanes and two slow lanes. Zhongkai Road from Wenxiang Road to Guangfulin Road, a total of 1,292 meters, will be widened from the original two two-way lanes to four two-way lanes. 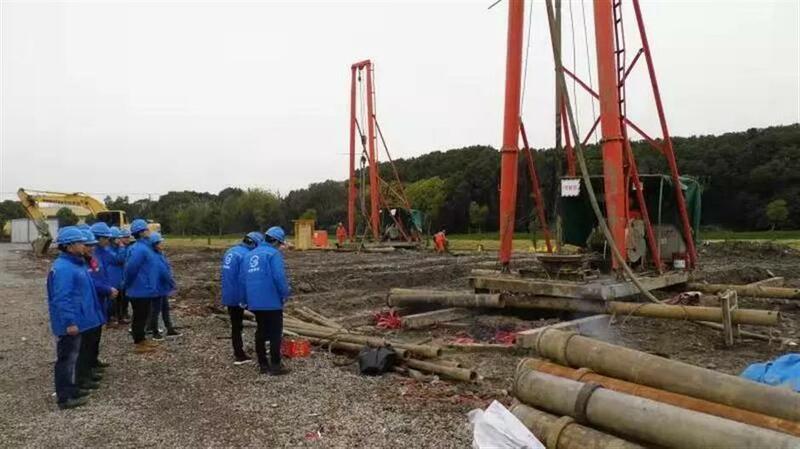 Workers start construction of Wenxiang Road Overpass.